For more than a decade, Ryan represented insurance companies and employers in the State of South Carolina. Finally, he’d had enough of taking orders that would potentially harm the injured in South Carolina and knew the only way to make a difference was to switch sides. He stopped representing insurance companies and began to represent the injured in job injury cases and significant and catastrophic cases like wrongful deaths, car accidents, brain injuries and trucking accidents. Ryan Montgomery is a 1997 graduate of Clemson University with a Bachelor of Arts degree in speech and communications. He received his Juris Doctor degree from the University of Baltimore in 2000 and attended Georgetown University School of Law as a visiting student in 2000. Following his graduation from law school, Ryan served as a law clerk to the Honorable Michael D. Mason, Circuit Court for Montgomery County, Maryland. He then went onto work for a litigation and trial law firm in Rockville, Maryland. 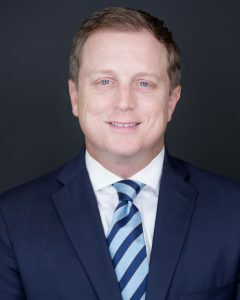 After the birth of his first child, he and his wife moved home to South Carolina where he now practices and owns his own firm, Ryan Montgomery Attorney at Law, LLC. He focus his practice on South Carolina workers’ compensation claims, on the job injuries, personal injury, car accident, trucking and serious and complex personal injury litigation. Ryan was selected to Greenville Magazine’s Best and Brightest. In 2011-2017 he achieved an AV rating, the highest available rating through Martindale. This is also known as a preeminent rating and is earned based upon the ratings and critiques of other lawyers. In 2012-2017 he was named legal elite for personal injury and workers compensation. When he is not practicing law, Ryan coaches soccer and volunteers extensively. He also enjoys spending time with his wife and three boys whether it be fishing, sports or traveling.